This multi-tasking, lightweight beauty balm primes, hydrates, lightens, firms, and visibly improves the look and feel of the skin. It helps to repair skin’s texture and to diminish the appearance of pores, fine lines and imperfections. It also aids in combating uneven skintone, dark spots and skin discolorations. Contains SPF. 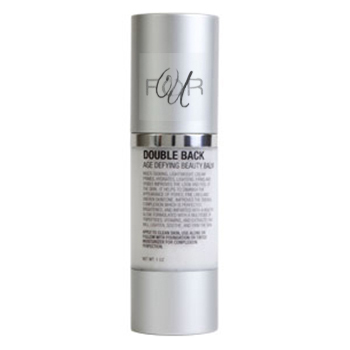 Inspired by cutting-edge Asian beauty rituals, Double Back is a 5 in 1 secret for achieving flawless skin. Use at the end of skin care, just before using Fringe Benefit or Porefection Age-Defying Matte Primer. 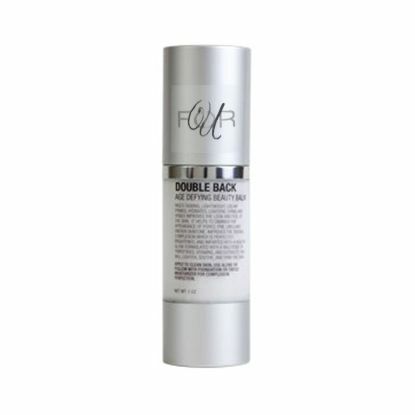 You may prefer to use Double Back Age-Defying Beauty Balm along with Fringe Benefit, especially if you have dry skin. Try it various ways and see what you like best!